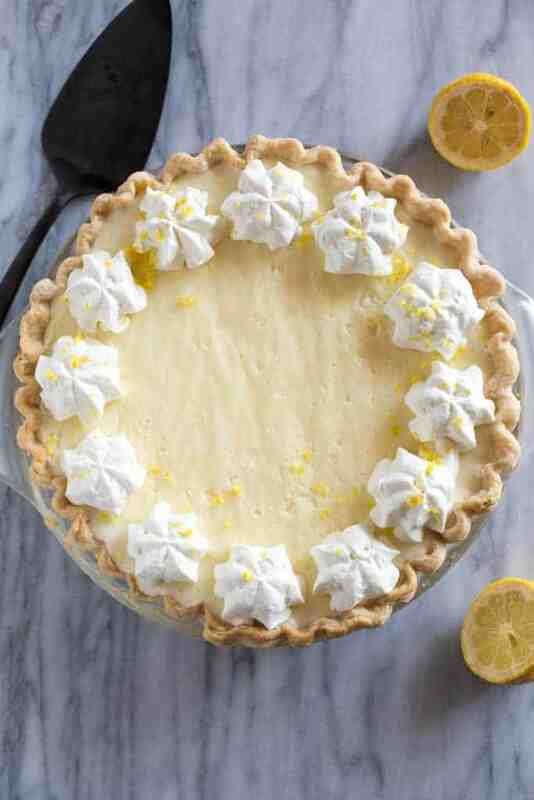 This lemon chiffon pie is a TREASURED family recipe. We can trace it back to my great, great grandmother who lived in the 1800’s! 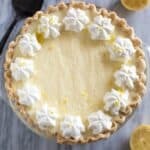 If you’ve never had lemon chiffon pie before than you’re really in for a treat–it’s one my all time favorite pies! 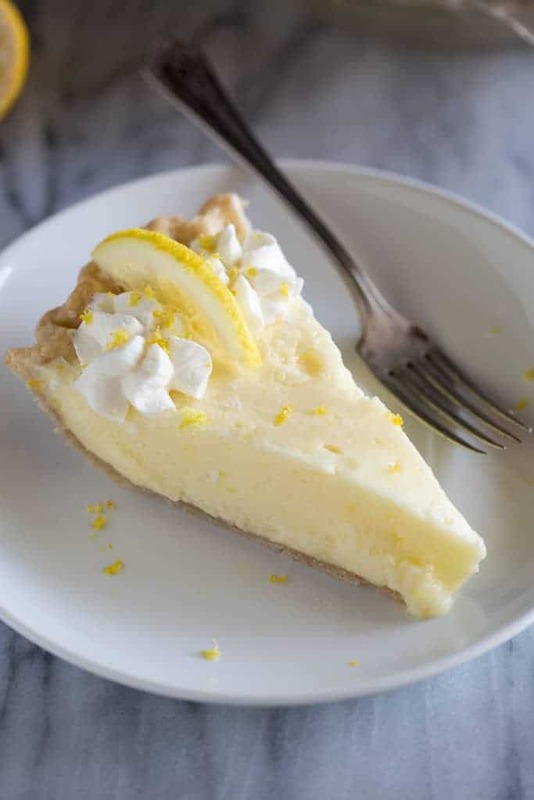 Unlike more tart and dense lemon pies, this one has a soft lemon flavor and it’s ultra creamy, light and fluffy. Pair it with our Perfect Pie Crust and you will really “wow” your guests. I love this pie because the ingredients are simple and I usually have everything on hand. 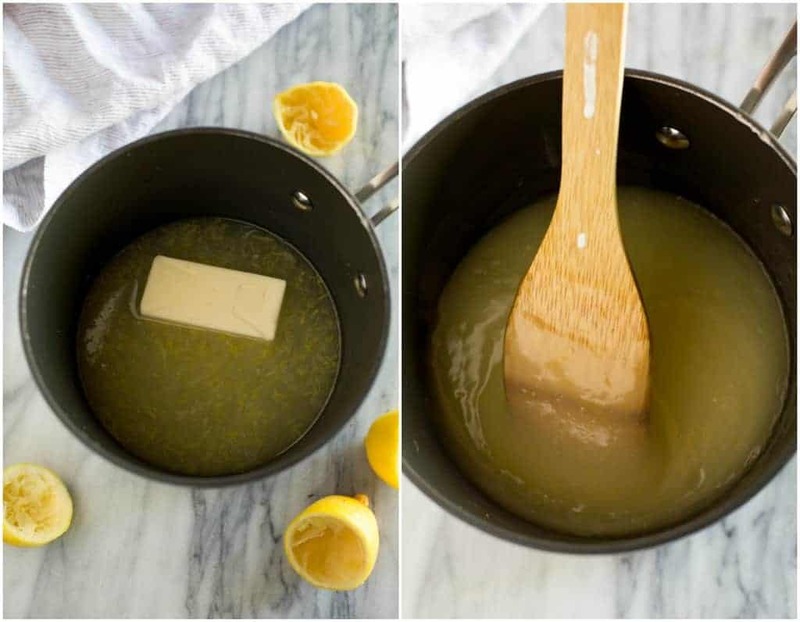 Add water, lemon juice, salt, 1 cup sugar, and butter to a saucepan and bring it to a boil. Meanwhile, stir together the cornstarch and 1/2 cup of water in a small bowl. Add it to the saucepan and cook it until it has thickened. Separate the egg yolks and whites into two separate bowls. 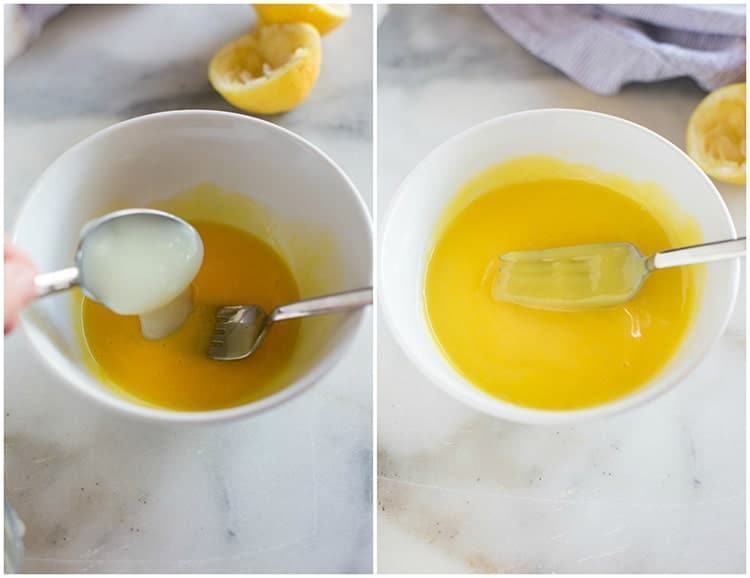 Beat the egg yolks with a fork, and beat the egg whites with electric mixers, slowly adding the remaining 1/2 cup sugar. Add a large spoonful of the hot mixture from the saucepan to the egg yolks and stir well. Continue slowly adding a few more spoonfuls, stirring after each addition to temper the eggs. Add the tempered egg mixture to the saucepan and the remove it from heat and stir in the lemon zest. Allow the filling to cool for 10-15 minutes before folding in the beaten egg whites. Pour the filling into a cooled pie shell and chill it in the refrigerator for at least 2 hours. 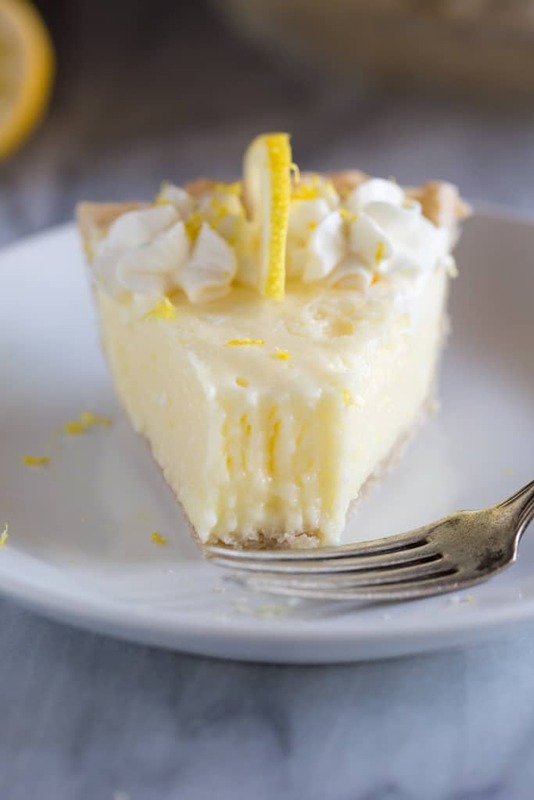 I like to place a piece of wax or parchment paper gently over the top of the pie (if you use plastic wrap or tinfoil it will pull some of the topping off when you remove it). 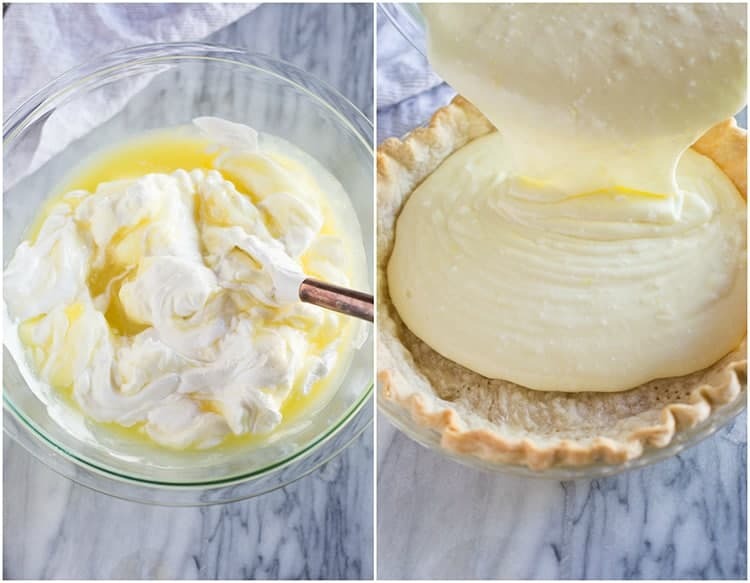 Top the pie with freshly whipped cream, for serving. *I originally shared this recipe in November 2013. Updated November 2018. I’m so sorry you had trouble. Next time try letting the lemon filling cool a bit before adding the beaten egg whites. So, while the “yolks” do cook… the “whites” are basically being added in and will be consumed raw? No, I wouldn’t recommend freezing it! It stores well in the fridge for a few days. You could blind bake the crust and freeze it and then add the filling the day of. My favorite method is to freeze the unbaked pie dough (see directions in the post)!